My Lazy Daisy Garden Afghan was released a few days ago, and I'm SO pleased with it. In fact, I think this is my new favorite design! I love the colorful flowers, and the easy-peasy "join as you go" construction. 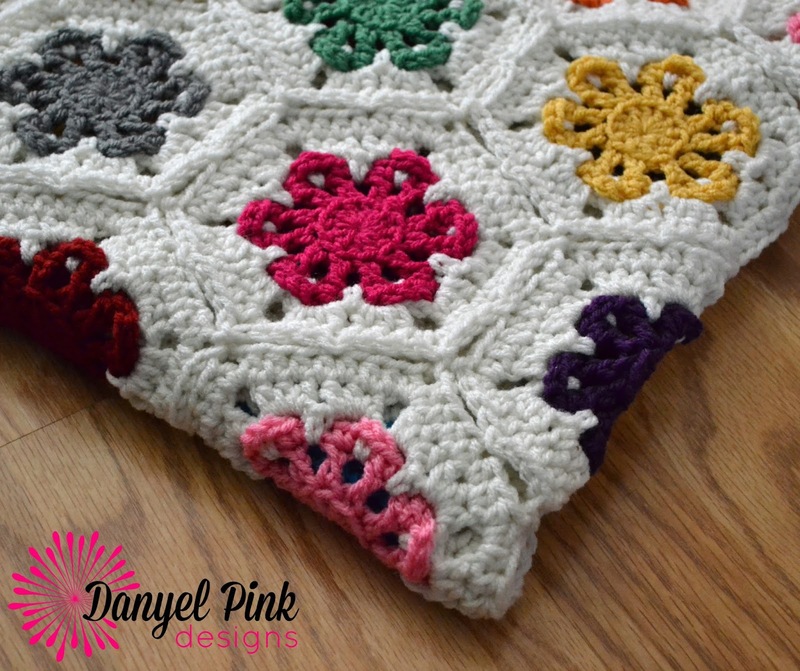 Each hexagon motif works up very quickly, and you'll love how addicting this pattern is! My daughter really loves this afghan, and has claimed it as her own! I think I'd also like to make one in blue and white for winter! 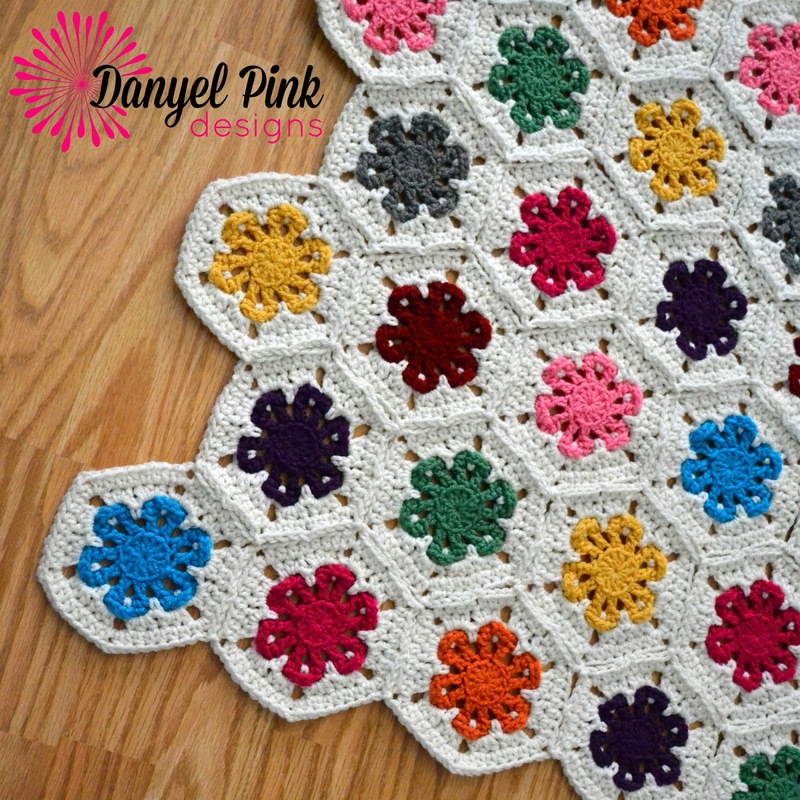 You can snag your copy of the Lazy Daisy Garden Afghan on RAVELRY, CRAFTSY or ETSY right now!